Elaine Scarry reminds us that even though “the main purpose and outcome of war is injuring” this “massive fact” can nevertheless “disappear from view along many separate paths”. This presentation traces some of those paths, exploring the treatment and evacuation of the injured and sick in three war zones: the Western Front in the First World War; Afghanistan 2001-2018; and Syria 2012-2018. The movement of casualties from the Western Front inaugurated the modern military-medical machine; it was overwhelmingly concerned with the treatment of combatants, for whom the journey–by stretcher, ambulance, train and boat–was always precarious and painful. Its parts constituted a “machine” in all sorts of ways, but its operation was far from smooth. The contrast with the aerial evacuation and en route treatment of US/UK casualties in Afghanistan is instructive, and at first sight these liquid geographies confirm Steven Pinker’s progressivist theses about “the better angels of our nature”. But this impression has to be radically revised once Afghan casualties are taken into account–both combatant and civilian–and it is dispelled altogether by the fate of the sick and wounded in rebel-controlled areas of Syria. For most of them treatment was dangerous, almost always improvised and ever more precarious as hospitals and clinics were routinely targeted and medical supplies disrupted, and evacuation impossible as multiple sieges brutally and aggressively tightened. Later modern war has many modalities, and the broken bodies that are moved–or immobilised–in its lethal landscapes reveal that the “therapeutic geographies” mapped so carefully by Omar Dewachi and others continue to be haunted by the ghosts of cruelty and suffering that stalked the battlefield of the Civil War in the years following Lincoln’s original appeal to those “better angels”. 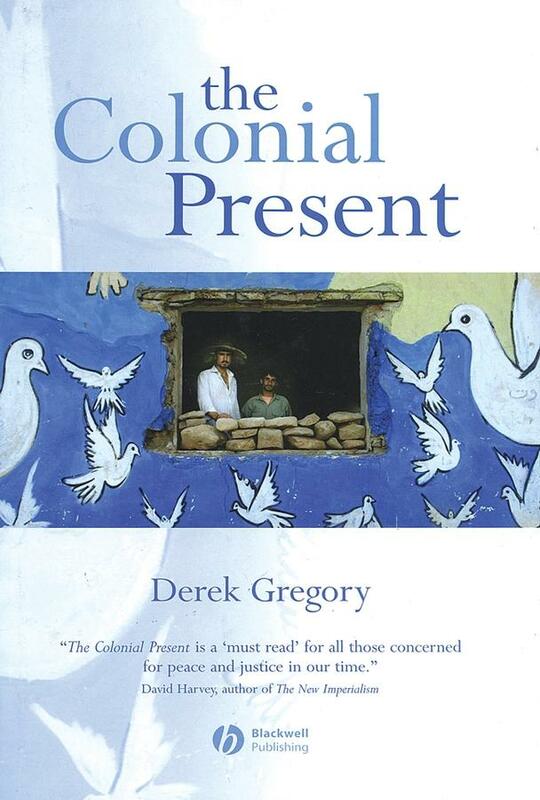 Derek Gregory is Peter Wall Distinguished Professor at the University of British Columbia. He graduated from Cambridge with a double starred First and was appointed to the faculty there at the age of 22. His early work focused on historical geographies of industrialization and on social theory. He moved to UBC in 1989, where his research has focused on the ways in which modern war has–and has not–changed in the 20th and 21st centuries. After 9/11 much of his work addressed military and paramilitary violence in the Middle East (notably in The Colonial Present: Afghanistan, Palestine, Iraq [Wiley-Blackwell, 2004]) but more recently he has mapped the trajectory of Euro‐American military power from 1914 through to the present. This has involved two complementary studies. First, a detailed analysis of the changing arc of aerial violence–from the First World War, through the combined bomber offensives against Germany in the Second World War, the bombing of Vietnam, Laos and Cambodia, to drone strikes over Afghanistan, Pakistan, Yemen and elsewhere–and second, an account of the embodied nature of modern war, centring on the evacuation of casualties, combatant and civilian, from war zones from 1914 to the present. The two projects have collided in an analysis of attacks on hospitals, healthcare workers and patients in war zones and their implications for both international law and the conduct of later modern war. These studies form part of two book projects, Reach from the Sky: Aerial Violence and the Everywhere War and The Purple Testament of War: Bodies and Woundscapes. Derek’s research involves both archival work and interviews, but he is also keenly interested in the ways in which imaginative literature and theatrical performance can be incorporated into the research process–he was consulted in the early stages of Owen Sheers’ I Saw a Man and Guy Hibbert’s Eye in the Sky–and has developed a series of performance works related his research. He was awarded the Founder’s Medal of the Royal Geographical Society in 2006 for his contributions to social theory and human geography and blogs regularly at Geographical Imaginations: Wars, Spaces and Bodies. As an introduction to Prof. Gregory’s 2018 Antipode RGS-IBG Lecture, we have made the following recent papers available to readers without a subscription. Together they reflect themes germane to his work, and will, we hope, offer a primer or further reading to his lecture. Many thanks from everyone at Antipode to Derek for agreeing to join us in Cardiff, and to Wiley’s Bea Harvie and Puneet Bola-Moore for all their help with the lecture and virtual issue. 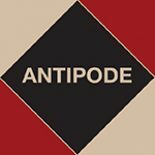 Antipode: A Radical Journal of Geography is owned by the Antipode Foundation, a charity that promotes the advancement of the field of critical geography. All surpluses generated by publishing are either [i] distributed in the form of grants made to universities and similar institutions to support conferences, workshops and seminar series or collaborations between academics and non-academic activists, or [ii] used to arrange and fund summer schools and other meetings, the translation of academic publications, and public lectures. This entry was posted on 24 August 2018 by Antipode Editorial Office in Virtual Issues and tagged 9/11, Afghanistan, casualties of war, civilians and combatants, injury, Iraq, lethal landscapes, military medicine, military power, Palestine, sickness, Syria, The Colonial Present, the injured, the sick, therapeutic geographies, war, Western Front.